Once we grew up, each one of us realized how school days were the best part of our lives. Well, there’s no way you can get back but you certainly can plan to be in the same classrooms, same campus, and among the same friends. 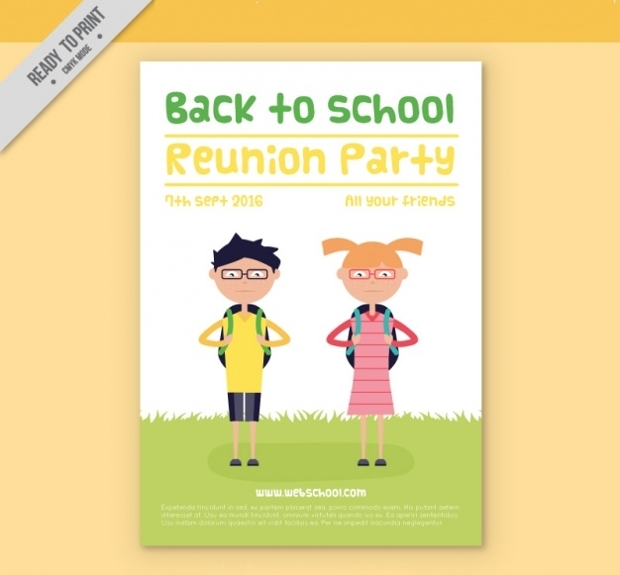 School reunion events like this are special and consequently needs to be accompanied by interesting promotional materials. As a part of the organizing committee, here are some resources that would take care of your event flyers / posters! Check them out! 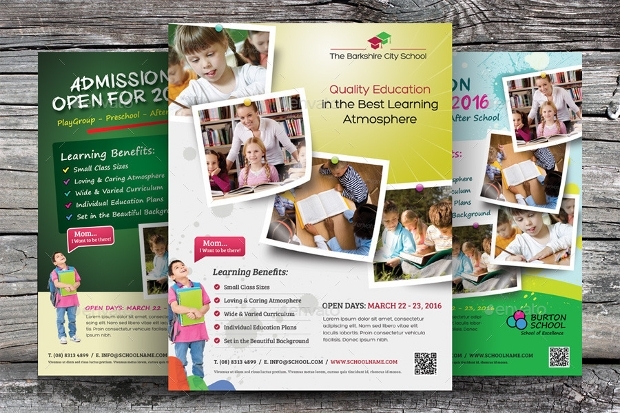 You may also see school flyer templates. 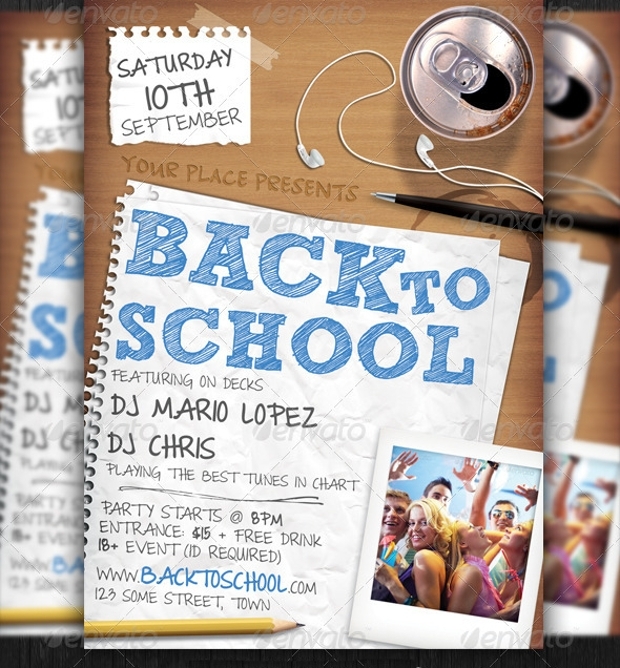 For the cool school reunions out there, here’s a part flyer template that should perfectly stand by your cause. The design is very much representative of the things we held close during our school days. 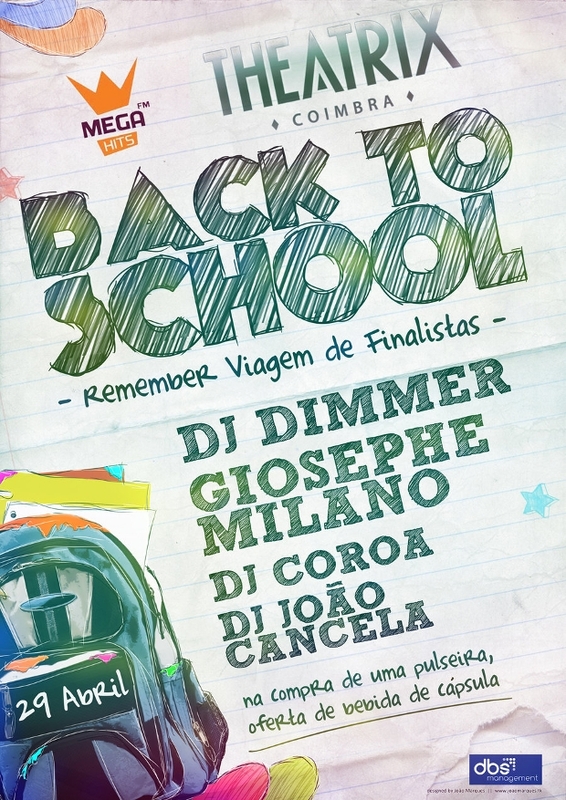 Well, it’s time to remember but with music, partying and fun! 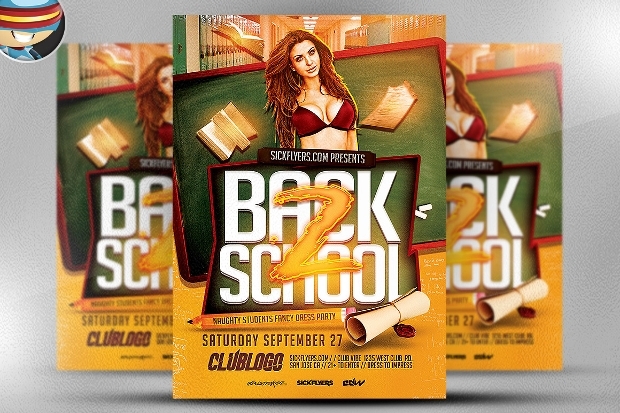 Just customize the content (venue, date, etc) and your flyer would be ready to put up. School reunions deserve to be special. 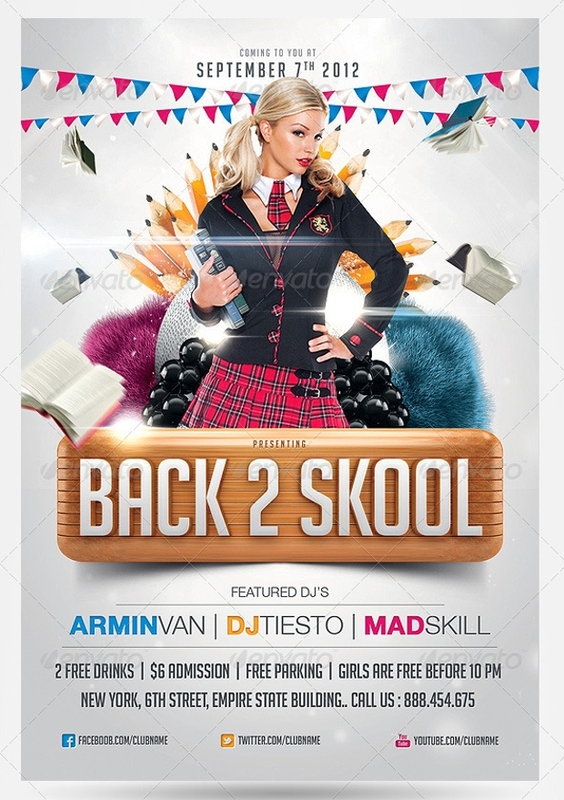 Well, here’s a really unique design layout for your party flyer that should bring the crowd to their heels. 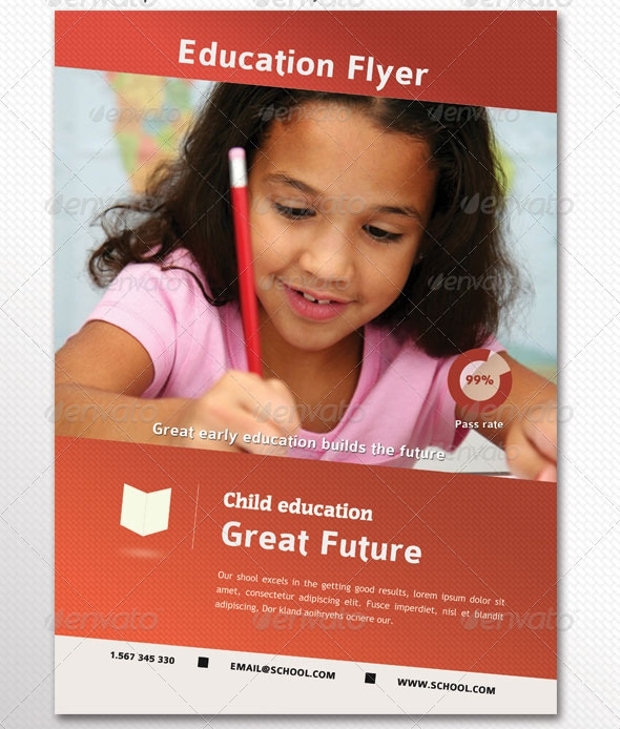 A 300 dpi, high-resolution file, the content is completely customizable and can be scaled to any dimensions. Consequently, you can put up this design both on your notice board and as a big flyer along the gates! 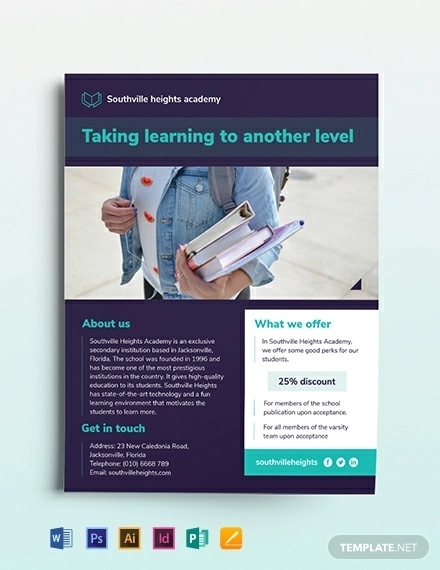 Looking for a fresh design for your school’s marketing? 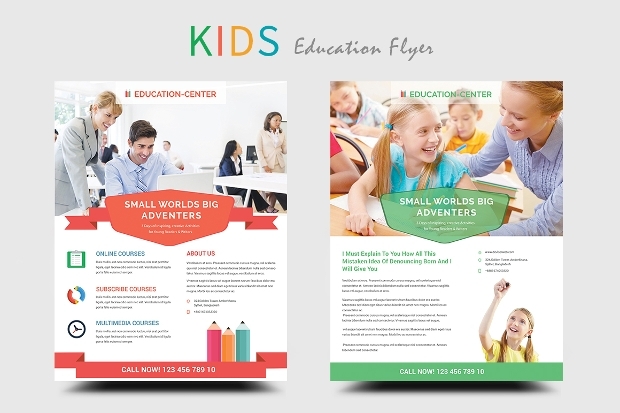 This would be a flyer that has been laid out in simple but professional colors and it is also an interesting scheme to encourage the parents to get curious. Planning an endless party on the occasion of your school reunion? This would be the way to go about it. The theme of the flyer is incredibly hot and should raise all the attention your need. So gather your friends and grab this one! 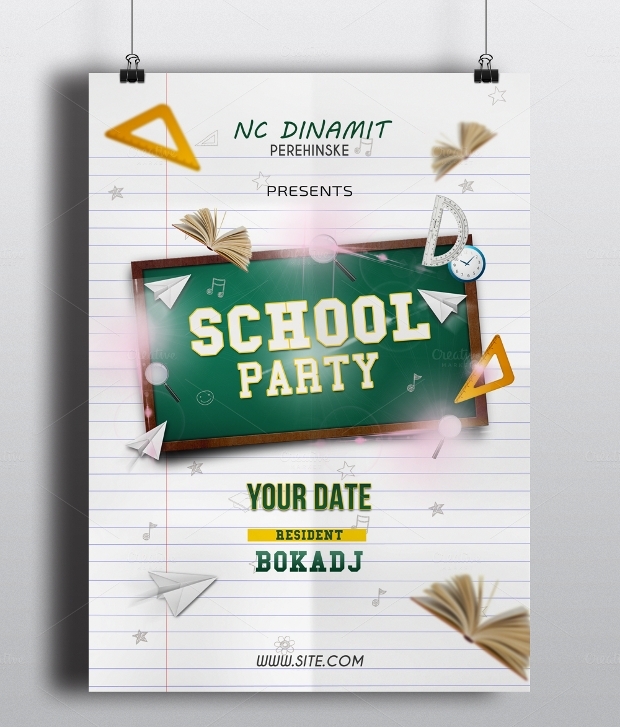 Have you planned to organize a hot party on the event of your school reunion? Check out this poster design and you will go crazy about it. While the content is completely customizable, you certainly do make a point that all the Naughty Schoolgirls and the Nerdy Professors attend the event. 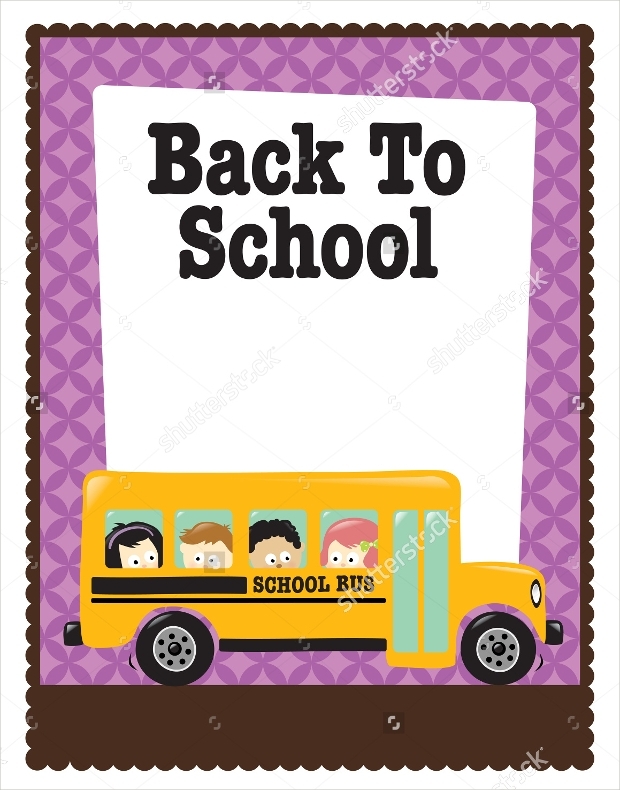 Are you a part of the school management and trying to find new ways to welcome your students back from their summer holidays? Well, this would be a simple but highly professional way of going about it. With a lot of space for content, you can easily engage your students in the plans for the next semester. 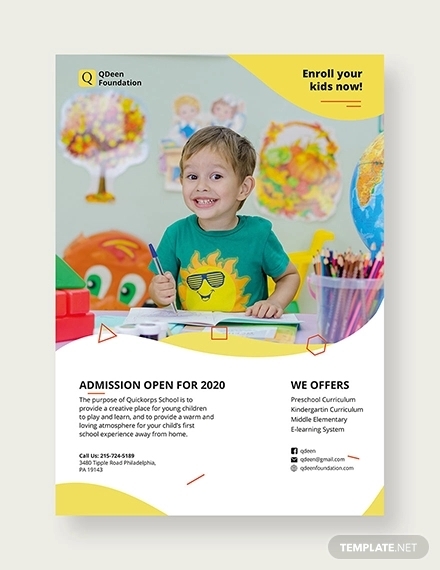 If your junior school is open for admission to the following season, you can certainly use this promotional flyer material. 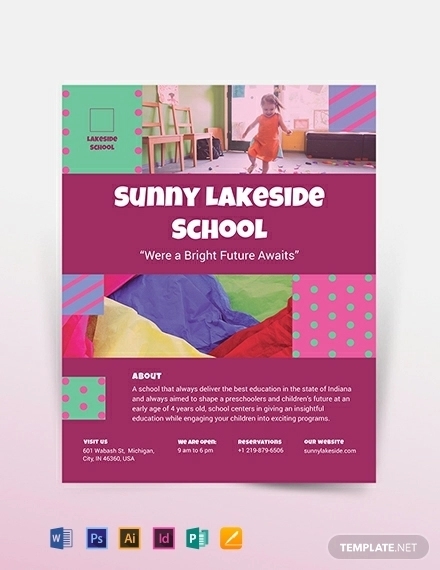 Creatively designed, the banner discusses everything that the school has to offer and the ways a child can hope to find opportunities at your premises. 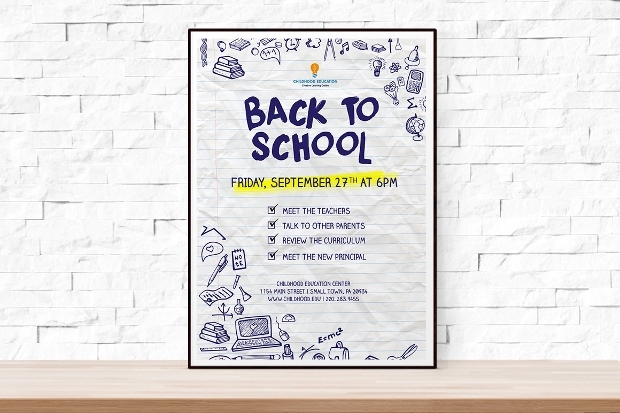 Organizing a short but fun event this evening for your school friends? Well, this would be a very simplistic, decent and creative way to announce the event. 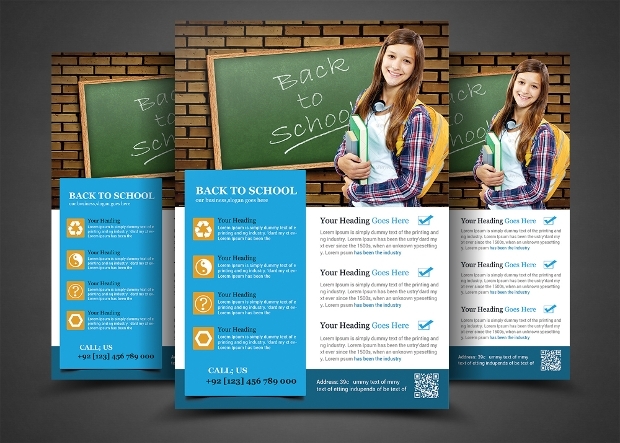 Just put in the right content and you will not have to squeeze out extra time from your busy schedule to worry about the flyer design. 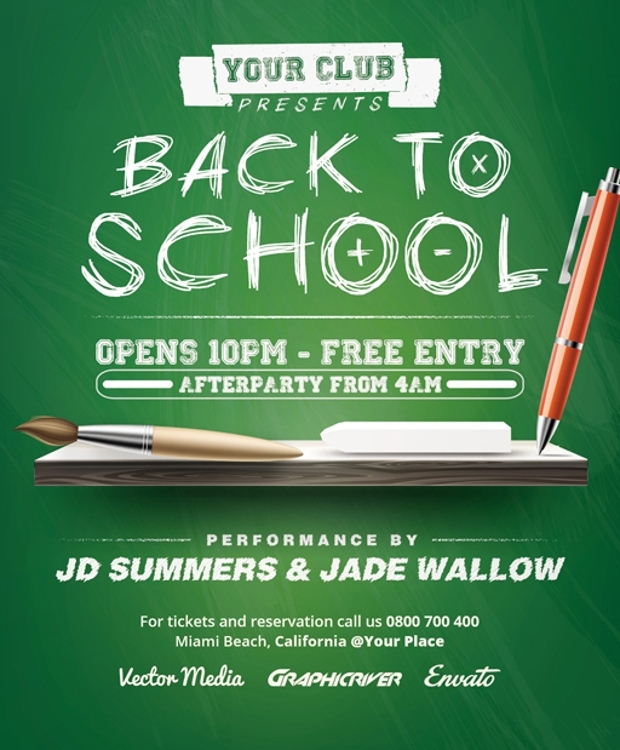 Do you have some seriously naughty plans for your ‘Back to School’ event? 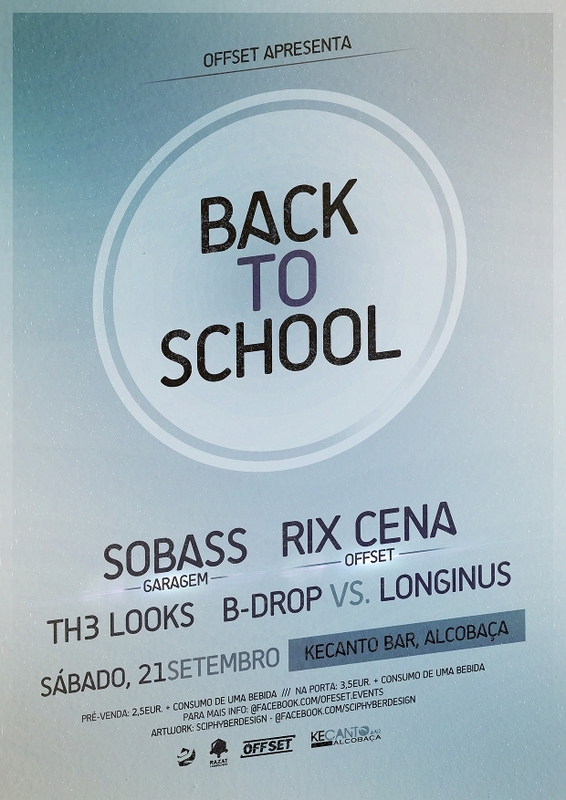 Well, the occasions call for some slack and this party flyer is a perfect representation of it. Just make sure that the girls take notice! 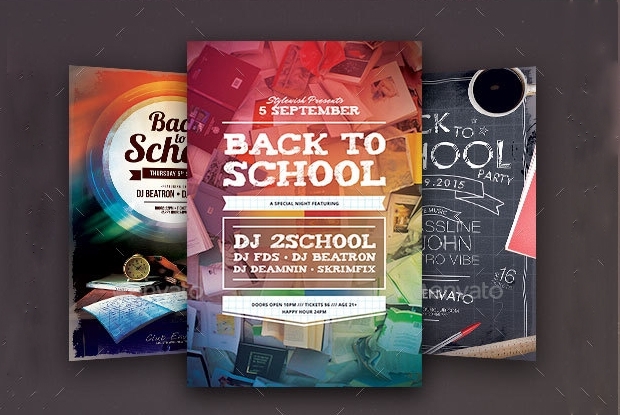 This flyer design is perfect for any kind of fun event you may be organizing in your premises. The design is simple but gives enough space for details and engages the audience rightly. 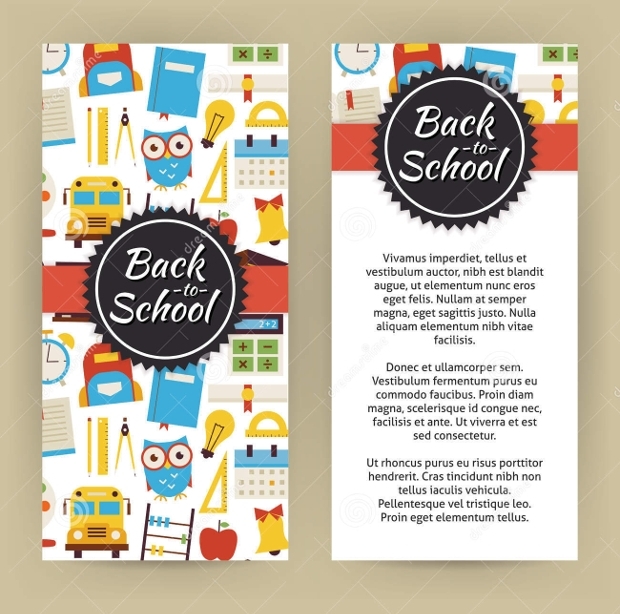 We hope you have found the perfect flyer design for your event. Whatever you might have been searching for, we wish you all the fun and success in the life ahead.